"We view the work that is done by DianeV as a very important aspect of our business. The response time for updates to our website is almost instantaneous giving us a fresh and updated look with every event and auction we conduct. Thank you DianeV for helping make Julien’s Auctions maintain a first class image." and your website visitors in the know! 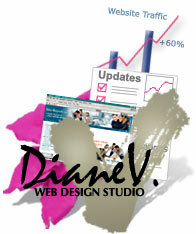 Keeping your website updated can be a hassle if you're busy doing other things or don't want to maintain it yourself. But when your company's information changes, it's important to update your website so that it is not unattended and out of date. We can help. Because not every website needs constant updates (and those updates can be sporadic and of varying size), we charge neither a monthly fee or a flat fee. Over the years, we've found that our existing clients much prefer to buy a package of "hours" to use as and when they wish. Not only that — but if you need updates to your website and web hosting, we'll waive our $50 web hosting setup fee. Need website updates? 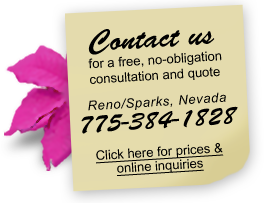 Simply contact us — fill out our Inquiry form so that we may contact you. We'll be happy to help. Need an overall redesign rather than an update?